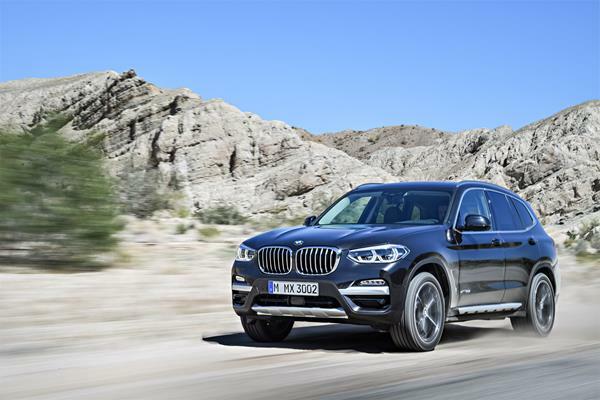 BMW fully redesigned the X3 compact crossover for the 2018 model year. However, its guiding principle seems to have been: "If it ain't broke, don't fiddle with it." Much of the previous-generation X3 remains intact, with a few tweaks here and there for better usability and some updates to technology. Most of the changes are subtle rather than boastful, making this one of the lightest-weight updates (in terms of obvious changes) the industry has seen. The changes to the 2018 X3 are welcome and well done. BMW wisely chose which things to change and how to do so. The interior is more spacious, accommodating passengers more readily, and the central infotainment display became a touchscreen to make it more intuitive. 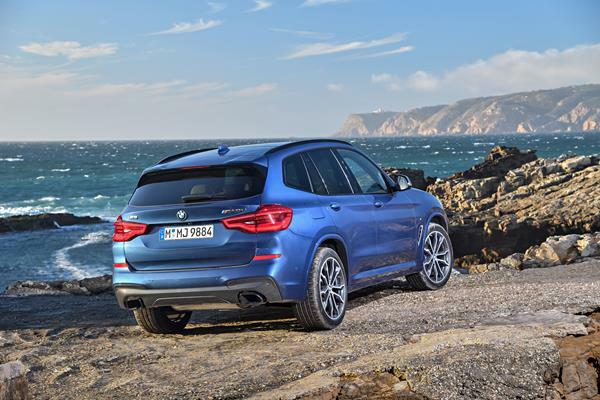 In addition, all-wheel drive is now standard in the X3. While some things we wish were changed in this new X3, it still remains a much-desired luxury compact crossover equipped with BMW's focus on the driver. 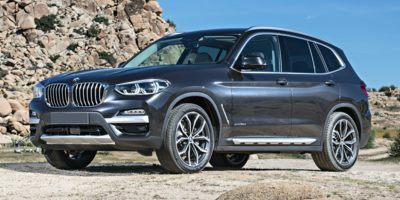 The five-passenger 2018 BMW X3 is sold in two trim points: the standard xDrive30i and the more performance-oriented M Sport-tuned M40i. The 2018 BMW X3 follows on the previous-generation X3, with few obvious changes. But the full upgrade of the X3 is visible upon close inspection. The new X3 is larger in all dimensions except height, and has a bit more flair to its front fascia and stance. The 2018 X3 has a slightly larger front intake below the kidney grille and is a little wider around the front fenders and fog lamp bezel surrounds. The sleek hood and BMW body lines remain the same, offering the quintessential Bimmer look. The wheel wells and alloy wheels on the 2018 BMW X3 are a bit larger and prettier than before. Not only is the gap between tire and body a little bigger, but ground clearance has a more high-profile appearance as well. At the rear, the small spoiler over the slightly rounded hatchback remains, but the lower portion of the bumper and its dual exhaust tips is more rugged looking. A hint at a more aggressive departure angle to reveal more of the rear tires makes for a more robust-appearing X3. Lighting is also slightly modified at the rear for a more trimmed look. The new 2018 X3 is very similar to the popular outgoing X3's segment-defining appearance. There was little reason to radically change the X3's appearance and BMW wisely chose to leave most if it as-is. 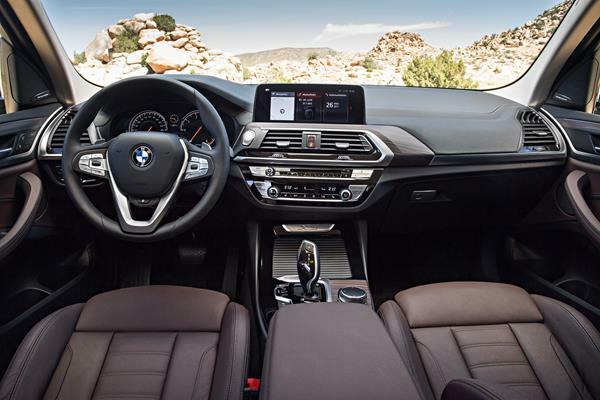 The all-new 2018 BMW X3's interior sees a lot of improvement. Rear seat passengers are treated to much more space at the knees and shoulders, while front seat occupants will find more infotainment usability and storage ergonomics. The driver has full view of the instruments and easy access to vehicle controls. A few problems with the X3 arise in the details. For example, the optional head-up display disappears when polarized lenses are worn. There's no digital speedometer option unless the X3 is in Sport driving mode, which is odd. And the X3 doesn't have gesture control support in the base model. Where the X3 shines is in the new entry and egress, which is far easier than before thanks to higher door openings and lower sills, as well as better seat height design. Headroom is very good in the X3, despite its compact size, and seating is comfortable all the way around. Getting three across in the rear is doable, but only for short distances unless they're kids. The large windows also mean great visibility for the driver. 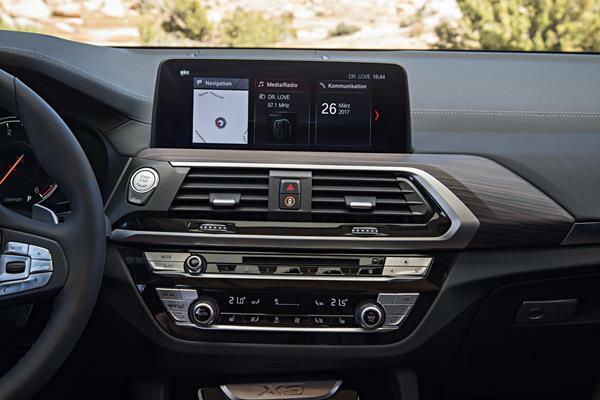 Quality materials, and good use of space and storage are high marks in the new X3. Big door pockets and little storage nooks are well done. There are 28.7 cubic feet of cargo space behind the rear seat, and those seats fold down to open that space up to 62.7 cubes. We like that the BMW X3 has both a standard-size and compact spare tire option, which is unusual in today's market. The 2018 BMW X3 is hit-and-miss with technology. There is no Android Auto option, but spending the money to upgrade and add Apple CarPlay means wireless integration comes with that. Wireless charging is also available. The infotainment system is otherwise useful and generally easy to use as an everyday item. The interface for infotainment is smartly done and relatively easy to learn. Getting in-depth with some of the more complex settings and apps can be cumbersome. In general, people who do not use Apple devices will be hobbled inside the X3, no matter the upgrades, as connectivity is limited. Even the apps in the BMW Connect system are largely unusable with an Android connected. Plugs are also scarce in the 2018 X3, with only two USB ports up front and no option for adding more. 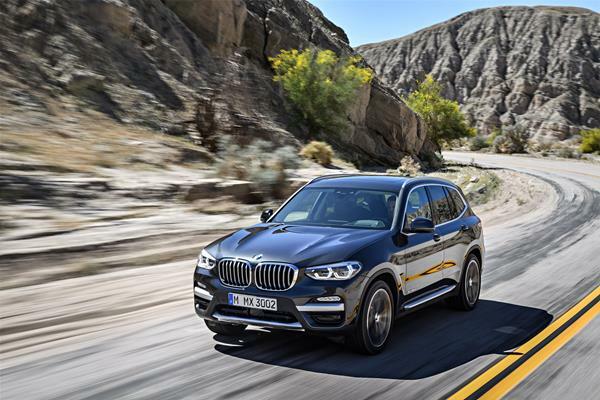 Fuel economy in the now-standard all-wheel drive 2018 BMW X3 is very good for the class. The base model receives 22 mpg in the city and 29 mpg on the highway, per the EPA. Real-world driving showed these to be close to reality, with our week in the X3 averaging 25 mpg overall. The M40i model upgrades to a larger engine with more output and thus lowers the mpg expectation. The M40i is EPA-rated at 20 mpg in the city and 27 mpg on the highway. The 2018 BMW X3 is rated "Better Than Most" in the J.D. Power and Associates Vehicle Dependability Study. Given the previous generation's good reports, we think that's accurate. There have been several recalls associated with the X3 for this model year. Those gave us a bit of pause, as this is a new generation and it's bound to have things that requiring some ironing out. The X3 received crash testing from the Insurance Institute for Highway Safety, but is not yet rated by the National Highway Traffic Safety Administration. The Insurance Institute rates the 2018 BMW X3 with top scores of "Good" on all crash tests conducted. This includes the often problematic small overlap front driver tests. The X3 comes standard with a good array of useful safety features built-in. More advanced safety options are available with package upgrades to either trim level of the X3. Most of these are in the Driving Assistance and Driving Assistance Plus packages. The Parking Assistance package adds a semi-automated parking system and 360-degree camera view. The 2018 BMW X3 is one of the best driving vehicles in its segment. It's sporty, confident and feels good behind the wheel. The standard engine is a 2.0-liter turbocharged four-cylinder that outputs 248 horsepower to an eight-speed automatic transmission. That transmission is smooth and adept, downshifting quickly. Our only complaint was with the BMW's turbo lag, which is substantial at low speeds/rpm. The M40i model upgrades to a more potent 3.0-liter turbocharged six that outputs 355 horsepower. The same transmission is used, tuned to the higher engine output. On the road, the 2018 BMW X3 is confident and well mannered. It feels sporty and fun when the throttle is goosed at speed. The X3 absorbs the road well and is quiet on the highway. Yet it retains the sporty cornering and tight nature of most BMW vehicles, giving plenty of feedback to the driver as well. We highly recommend the M Sport and Dynamic Handling packages for the X3's base model, which add considerably more drive dynamic to the SUV. The 2018 BMW X3 is a good value proposition for a luxury crossover, but only in some packages. The X3 isn't for everybody, but it's a good combination of fun dynamic and daily usefulness, so many will find it a good fit. 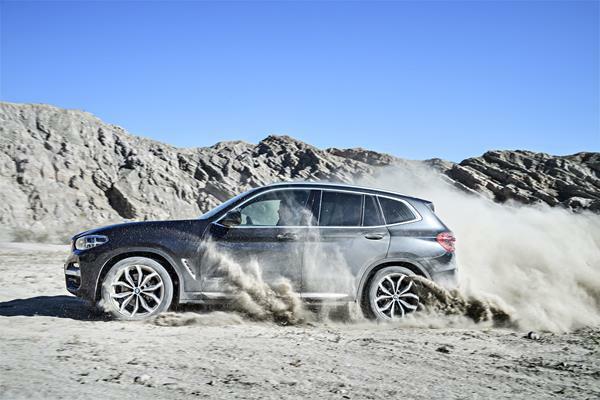 Maximum value will be found in the xDrive30i base package, which offers plenty of goodies for the price paid. We'd only recommend adding the Driving Assistance packages if having more luxury on the road is your primary focus. 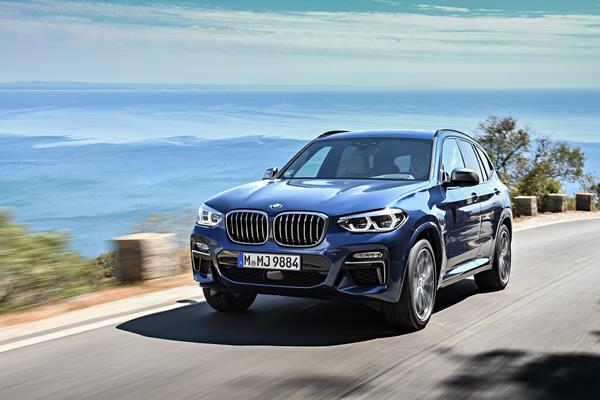 Otherwise, the M40i offers all of the sporty goodness added with the M Sport and Dynamic packages of the base model but doesn't cost as much to get. Resale value on BMW vehicles is routinely low and the X3 is no exception. Several good options in the luxury crossover lineup are comparable to the 2018 X3. The most compelling is the Audi Q5, which offers a strong value proposition and excellent daily use metrics. The Cadillac XT5 is a good choice, though much more in your face about its luxury station. Another good option is the Mercedes-Benz GLC-Class crossover, which has great road presence and a classy look. Against all of these, only the Audi really competes with the X5 at all levels. Choosing between the two will come down to expectation on the road, with the Audi offering faster performance but less efficiency. The 2018 BMW X3 is an excellent luxury crossover choice that's right-sized, well built and nicely rounded for the consumer. There are options that are equally as good, but the X3 brings a lot of common sense to the luxury field, which is an unusual trademark for the segment. Interested to see how the 2018 BMW X3 ranks against similar cars in terms of key attributes? Here are the 2018 BMW X3 rankings for MPG, horsepower, torque, leg room, head room, shoulder room, hip room and so forth.